Serving Ontario with Reliable, Professional Pest Control. Welcome to Cannon Pest Control. We provide a full range of residential pest control services across Ontario. If you have a problem with ants, cockroaches, insects, mice, rodents, birds or wildlife our professionals can help. At Cannon, we only hire the best. All Cannon Pest Management Professionals are fully licensed and Quality Pro Certified with years of experience in both residential and commercial sectors. Our pest control services follow well established Integrated Pest Management protocols which means we don’t just treat a pest infestation, we identify the root cause of the problem and implement preventative measures to avoid future issues. Our experienced team can deal with a full range of pest issues and will provide you with the peace of mind that your issue will be resolved reliably and cost – effectively. Bed Bugs found on TTC We’ve all been hearing and/or reading about Bed Bugs found on the TTC in Toronto. There are several articles on this topic letting us know its an issue and then telling us not to worry! Documents show 12 confirmed cases of bedbugs on TTC vehicles since 2014 – “What public health professionals tell the TTC is that bed bugs cannot survive on their own … Seen a bed bug crawling around on the TTC? You are not alone – CityNews The TTC is claiming that their vehicles are not a favorable environment for bed bugs to survive. This may not be the case. TTC also claims that a bed bug brought onto the bus, streetcar or subway won’t last long. How long is too long? A Bed Bug just needs a second to attach itself to another person or piece of clothing, knapsack, purse, book and then potentially infect their car, workplace, home or virtually anywhere they may go. So what do you do when you are concerned about Bed Bugs and just want to know if your clear? When traveling on the TTC bring as few belongings as possible and always keep an eye on your surroundings. It’s a good idea to make sure you know what a bed bug looks like. Here are a few images to help you out: If you are concerned at all that you may have come in contact with bed bugs please feel free to call us and ask us anything regarding the pest control and extermination of bed bugs. Bed Bug Pest Control Toronto Cannon Pest Controls Treatment Process Because Bed Bugs are extremely elusive and hide in places that are difficult to access, Cannon recommends a three-pronged approach: Steam – Infested areas are treated with high temperature dry steam. This steam is directed into cracks and crevices in walls and furniture including the mattress and box spring. Dry steam is effective at killing all stages of bed bugs on contact including the eggs. This treatment allows for most items of furniture to be treated instead of disposed of, saving $ in replacement compensation. Dust – Wall baseboards are treated with diatomaceous earth (D.E.). This is a natural silica product that destroys bud bugs by abrasion, scratching their outer surface and causing them to dehydrate. D.E. dust has no expiry and properly applied will help control any future infestations. Residual Pesticide – A residual chemical treatment is also applied to potential breading and resting areas. This treatment is the least dependable method for control of bed bugs due to resistance in certain bed bug populations. Unfortunately it is the sole treatment performed by most “professional” pest control companies. A bed bug infestation can be very complex and often comes with many questions. 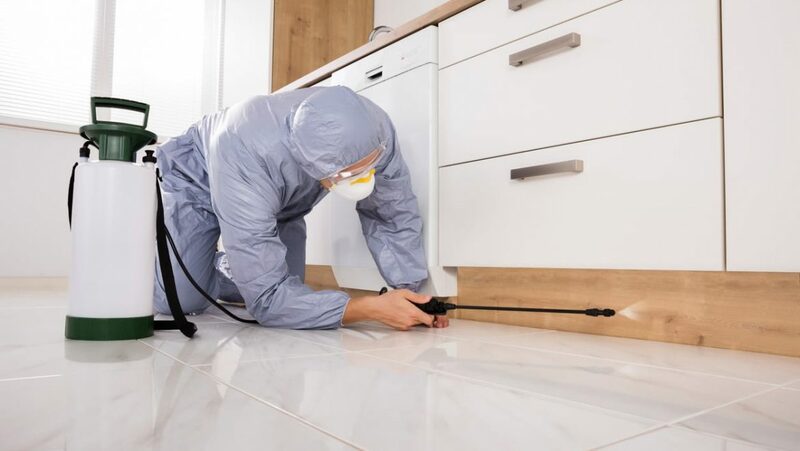 At Cannon Pest Control we have found that a visual inspection of your home will help to determine the level of infestation as well as help determine the treatment area. During this time homeowners are provided the time to ask questions which they may have. The technician will also be able to help guide you through the preparation requirements prior to your treatment. Click here for more information on bed bugs and Bed Bug Pest Control Toronto. It’s a great of the year. Temperatures are rising and more and more people are enjoying the weather that a Toronto summer has to offer. Summer weather comes an increase in annoying pests. Mosquitoes, ants and various other pests are waiting to share the outdoors with you. The combination of post-hibernation food searching along with breeding seasons makes pests very active in Toronto’s warmer weather. Even pests have a place in our local ecosystem, but you would probably prefer if they were not sharing your backyard with you and your family. Here are seven common pests we see in Toronto during warmer weather and how you can stop them. Mosquitoes – Everyone hates mosquitoes. These pesky, disease-carrying pests make a living by sucking the blood out of just about anything that moves, including us. In addition to leaving you with some nasty bites, mosquitoes can carry harmful diseases such as West Nile Virus. Plus, it’s super annoying when they are constantly buzzing around your head. The peak time for mosquitoes in Toronto is June. The best way to prevent an outbreak of mosquitoes is to remove any standing water on your property. Mosquitoes need pools of standing water for their reproduction process. Just a few inches of water is all it takes for a female to deposit her eggs. There are also various products on the market that can help with an outbreak of mosquitoes. We’ve found that eco-friendly products such as citronella candles or mosquito traps can make a difference. carpenter antAnts – Many Toronto home owners have dealt with an ant problem at some point. Ants do not directly harm humans, but they are certainly a pain when they’re in your home. We find that ant populations in Toronto peak in late July. It’s important to deal with ant infestations quickly and correctly. It doesn’t take long for ant populations to increase. Store your food in properly sealed containers. Also, be sure to clean up food scrapes right away and keep on top of your household garbage. Ants need a way into your home. Ensure that the sealing around your doors and window frames is well maintained. cluster fliesHouse Flies – House flies are not fun. They are loud, annoying and can potentially carry harmful diseases into your home. House flies like sweet things such soda, fruit and other sugary foods. These bugs are very quick at reproducing. It’s almost impossible to make your home 100% house fly free. Instead you’ll want to focus on stopping them from reproducing. Keeping your home clean can really make a difference. Wipe down all surfaces in your kitchen right away; it doesn’t take a lot to get the attention of a house fly. It’s an old technology, but a little bit of hunting with a fly swatter is a very affordable and practical solution. Ticks – During the summer months ticks are scary. Pets are usually a prime target for ticks. Furry companions coming in and out of the house can carry a huge tick risk. Once a tick attaches itself to skin they have the ability to transmit some really scary diseases, especially if they have the ability to stay attached for a long amount of time. The best way to stop a tick problem is to do regular skin inspections. Look through your pet’s fur and regular brush them, especially after a long walk. If you find a tick on your pet you need to remove it with tweezers right away. If needed there are some great commercial treatments and shampoos on the market that can help with eliminating ticks. Termites – We don’t see termites in the winter because they bury themselves under the ground to stay warm. Once the temperature increases they are ready to find new food sources. If a nest is located near your house your property could be in serious danger. It doesn’t take long before termites can cause major damage to the wooden structure of your home. Finding a termite infestation can be challenging, they usually gravitate to already damaged wood. It’s important to regularly check for damages and alert a professional if any major damages are found. This can save you a lot of money and also protect your home and its value for years to come. Pest Control – Bee’s & WaspsBees and Wasps – Bees are wasps both play a key role to the Toronto ecosystem. Unfortunately, their stings hurt and can cause serious health concerns for people living with allergies. 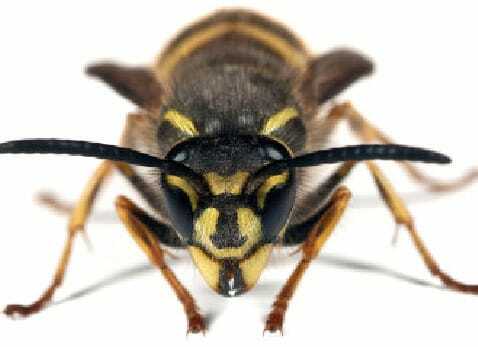 These bugs will sting when they feel threatened. Bees play an important role in nature. Removing them should only happen if they play a major risk to you and your family. The key to eliminating a bee or wasp problem is to remove the nest. It’s best to give this job to a professional, removing a nest without experience can be a very dangerous and even deadly task. Cockroaches – Cockroaches will live in a home throughout the year, but they are usually much more active during the summer months. They reproduce quickly and a few cockroaches can quickly become an infestation. germanCockroachCockroaches want food and if you leave food scrapes around, they will find them. Again, keep your kitchen surfaces clean and take out the garbage as often as possible. Although summertime pests are annoying they can usually be taken care of with a little bit of work and commercial products. If you feel like your home is being taken over it may be time to call a pest control professional. At Cannon Pest Control we’ve been helping people living in Mississauga, Etobicoke, Vaughan, Toronto, North York, Scarborough, Markham, Ajax, Whitby and Oshawa deal with their summer pest problems. We’re a local company and our professionally trained Toronto exterminators understand how to best deal with pest control issues in our community.